New Documentary “IRIS” is a Must-See! I just wish I’d seen this sooner so I could have recommended this to our readers while the film was still showing in Millerton. “Iris” is however, still playing in NYC at Film Forum, City Cinemas Beekman and Lincoln Plaza Cinema. 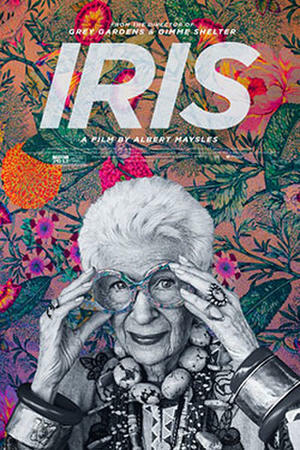 93-year old Iris Apfel, fashion’s Grand Dame for decades, is the subject of Albert Maysles’s last documentary, “Iris”. I couldn’t recommend it more highly…I absolutely loved it. As far as I am concerned, Iris just “gets it”. I so identified with her creative process as she approaches things. Her world is fashion and interior design and what is it really all about…it’s about pleasing yourself. If it makes you feel happy and good…well then, you nailed it. If you won’t be able to see the film in NYC do make a point of putting it on your Netflix future list. If you are into design, into the passion for creating, into authenticity, into special people, into seeing how keeping passion in your life keeps you young and spirited and alive you will love this film. What an amazing woman…truly a treasured icon. For more on Iris Apfel and the making of this documentary, you can read more about it in the article from Vogue. Joan’s Former Tiny House featured in a New Book! Hammertown Barn proudly announces that Paul Chaleff, internationally recognized ceramicist, has created a collection of functional porcelain platters and vessels for Hammertown.